If winter makes you think of sun, lots of snow and cosy conversation by the fireside, then you’re in the perfect place here. Explore the fabulous surroundings on your cross-country skis, past the church of St. Athanasius and the Drau water meadows. Ski for hours through forests white with hoarfrost and enjoy the wintry silence. Glide along and experience our beautiful mountain panorama. Later you might spot a deer or a fox. On your return a relaxing bath awaits you in the whirlpool in the wellness centre, before you enjoy dinner at the Glocknerhof. You can end the day sociably in the Bar. 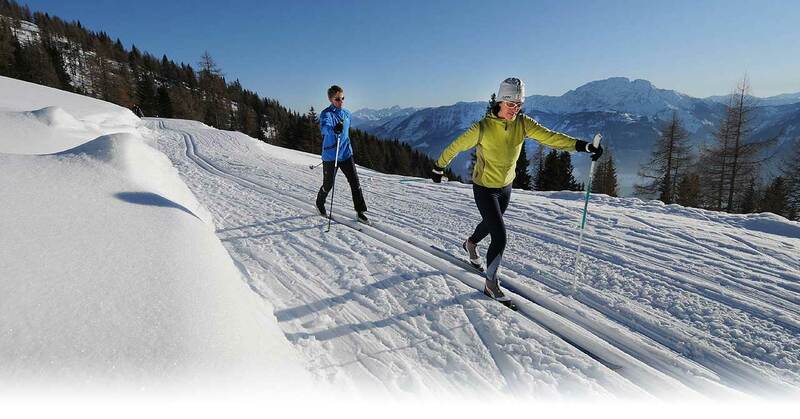 Ski on the most attractive cross-country trails in Upper Carinthia. 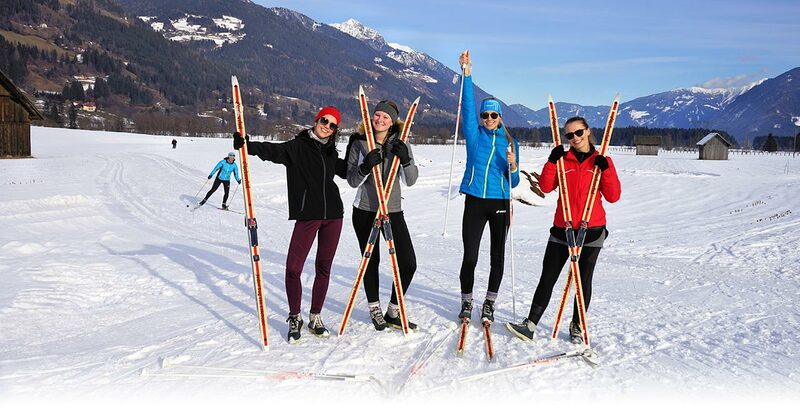 More than 10 km of sunny trails and the same number of kilometres on the shady side, plus another 20 km on the Nature Park cross-country trail around the biathlon centre on Lake Weißensee or the Dolomite cross-country trail in Lienz. And if the snow in the valley isn’t quite up to it, then you can head for the 10 km high cross-country trail on the Emberger Alm, where you are guaranteed to find a good stretch tracked for you. There is also a cross-country trail with snow cannons in Lavant - not far away from the Glocknerhof. 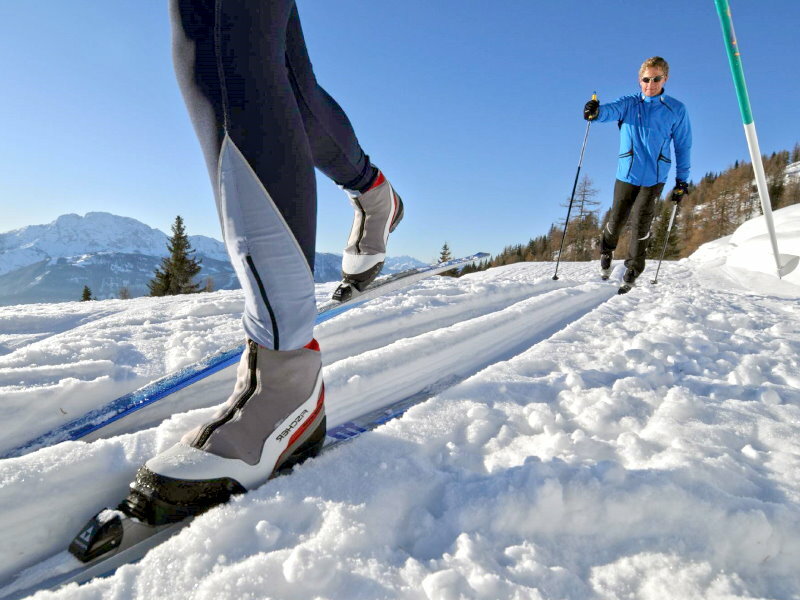 Cross-country skiing equipment is available for you at the hotel free of charge. You can also store your own equipment in the hotel for free. In spring the DrauValley is a paradise for ski tours, wedeling, carving or snowboarding, for working on your tan in the winter sun, or warming up with mulled wine or tea with rum. Enthusiastic skiers get their money’s worth at the Glocknerhof because the mountains are an attraction offering sun and snow right through to Easter.